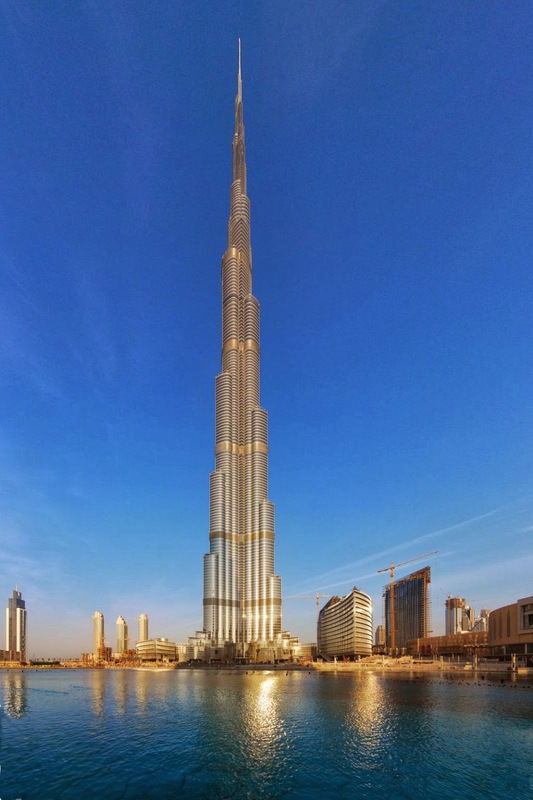 Many skyscrapers are there in the world, but Burj Khalifa in Dubai is in the list of tallest man-made skyscrapers that even crosses the troposphere of the atmosphere. It is the Burj Khalifa (829.8 m) that breaks the record of the tallest skyscraper namely Warsaw Radio Mast tower. It is a world-class destination and a splendid centerpiece of Dubai. It can be seen from a distance of even 20 miles away. Hotels, restaurants, shopping malls, etc. make it a world class entertainment destination. Burj Khalifa is a combination of science and architecture that garnered an awe-inspiring number of facts and figures. Its construction began on 21st September 2004 and completed on the 1st of October 2009. The 4th of January 2010 was the official opening day of the building. Its architectural design was crafted by Skidmore in Chicago and engineering was performed by Owings and Merrill of Chicago. The name of the tower was replaced from the Burj Dubai to Burj Khalifa only to honor the UAE President Khalifa bin Zayed Al Nahyan as he supported it in every manner. This tower was designed in a mix-use manner as it includes 30,000 homes, nine hotels, three hectares of parkland, 19 residential towers, the Dubai mall and the 12-hectare artificial Burj Khalifa Lake. 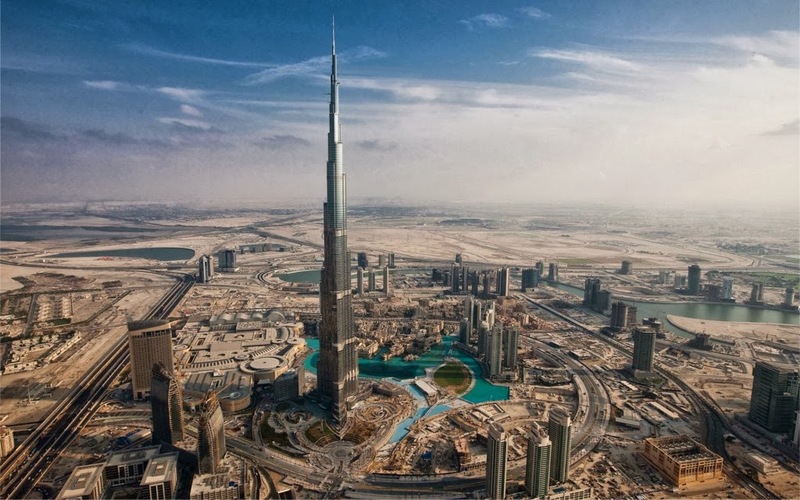 This building is the earth’s tallest freestanding structure located in the Middle East. It was built to get the more international recognition and so investments will also be increased. Burj Khalifa broke many records when it was completed. It became the tallest existing structure, tallest structure ever built, tallest freestanding structure, tallest skyscraper and the tallest skyscraper to top of antenna. It also became the building with the most floors, i.e. 163, building with world’s highest occupied floor, world’s highest elevator installation, world’s longest travel distance elevators, highest vertical concrete pumping, world’s tallest structure that includes residential space, world’s second highest outdoor observation deck, world’s highest installation of an aluminium and glass facade, world’s highest nightclub, and many more. As we know that the tower is too high so, to support this unprecedented height of the building, the engineers create a new structural system called the buttressed core. This buttressed core consists of a hexagonal core augmented by three buttresses that form the Y shape. This structural system permits the building to support itself laterally and keeps it from twisting. The 43rd and 76th floor houses swimming pools and 122nd, 123rd and 124th floor contain restaurants, hotels, indoor and outdoor observation deck. So, with the large number of apartments, rooms, hotel, etc. this tower can easily accommodate more than 35,000 people at a time. Thus, it is one of the major Dubai attractions. Total 57 elevators and eight escalators are installed to transfer a large number of people at a time. 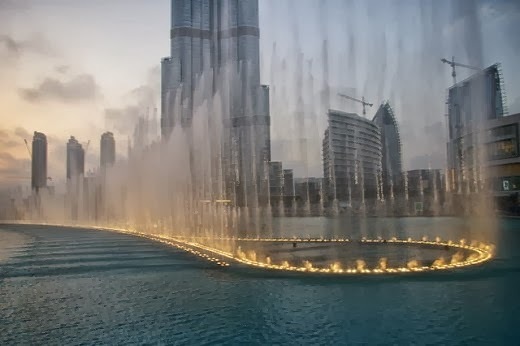 Outside the building, there is a large Burj Lake which has the most famous Dubai Fountain in it. This fountain (272 Mt high) is illuminated by 6,600 lights and 50 colored projectors, shoots water into the air and dances to the Arabic music on special occasions. The Burj Khalifa Park is another thing that located outside the Burj Khalifa. It spreads in the 11 hectare area designed by the architects SWA group. In 2011, Alain Robert was the first person who scaled the outside of Burj Khalifa and climb to the top in six hours. This building lifts the UAE’s head proudly to skywards as it surpasses all the expectations. Also in 2011, the Hollywood movie 'Mission Impossible: Ghost Protocol' used Burj Khalifa for a sequence where Tom Cruise scales the outside of the Burj Khalifa tower. Burj Khalifa honors Dubai and its people very well. 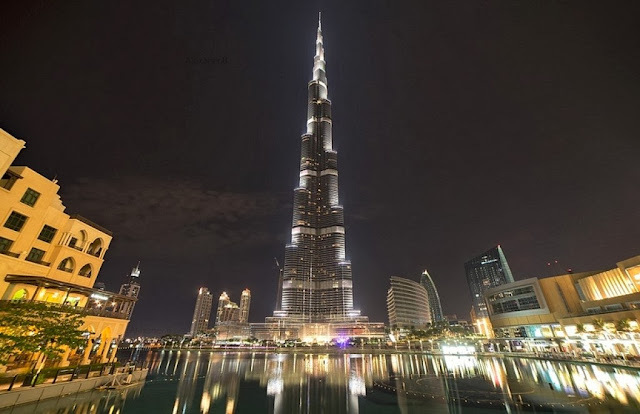 Any Dubai special offer for hotel booking or holidays is not a complete one if it does not include a visit to Burj Khalifa. Now, it becomes a favorite center of the world’s finest shopping, dining, and entertainment. Also, it is a home for the world’s elite people. WAU - where some great pictures. Thanks for stopping buy. Enjoyed your post...most magnificent skyscrapers. Thanks for the information and photos of this magnificent structure. Very impressive ! I haven't visited Dubai yet but it's for sure on my list. What an amazing structure! It really looks graceful and beautiful. I've heard Dubai is a fantastic city to visit -- I hope to see it one day! Brilliant building, but not for me. I'm scared, lol. i would image having "chills" to see this in person!! We were considering going to Dubai this Christmas.....maybe next year! Niesamowita wieża. Jej budowla przypomina rakietę. Widok z góry jest z pewnością nie do zapomnienia. Fontanna, to dla mnie też duża atrakcja, bo uwielbiam na nie patrzeć. Pozdrawiam. Amazing tower. Its structure resembles a rocket. The view from the top is certainly not to be forgotten. Fountain, this is for me, too big attraction, because I love to look at them. Yours. 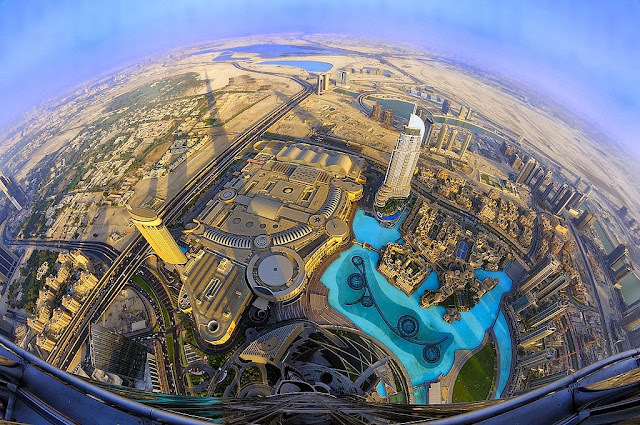 Great pictures, really beautiful Burj Khalifa, wonderful place! Great to discover your blog. The towers around the world seem to be getting higher and higher. Thanks for sharing these magnificent buildings and we have often watched the documentaries of the buildings in progress. Wow - amazing and gorgeous. It is a remarkable building - I was there last year. Thanks Stewart! I glad you visiting on my blog.. Hope keep visiting..
Wowwww, interesting post and photos! Fabulous photos, so fine and high design. Hi! Very interesting post. Your photots are very impressive. I want to go ther in some future. BTW, why not include Tokyo Sky Tree in your tallest structure ranking. Tokyo Sky Tree is 634m high. Tokyo Sky Tree is the tallest free-standing broad casting tower in the world.http://www.tokyo-skytree.jp/en/archive/spec/ Thanks for sharing. Thank you Minoru! Truly, Tokyo Sky Tree is a tallest tower in the World Wide. Here we are only describe "Burj Khalifa". But in future we'll really include it in their blog..Thanks... Hope Keep visiting.. Interesting post and beautiful shots. It really is one of the worlds most spectacular buildings MH, you really have shown it in all its beauty in these shots. The pictures above are spectacular! Love the bird eye view from the observation deck. Thank you Pallavi! I glad you visiting here.. Hope Keep visiting. That is one beautifully designed building. I can't believe that guy climbed this. Paul Uhlmann Award Winning Architects are offering to our customers a wide range of Architect Design. Renovation Architect Designs are available in different sizes and color combinations. MastHoliday a Leading Travel Company in New Delhi, India offer's Holiday Packages, Flight Tickets, Hotels Bookings and Honeymoon Package to all International Locations.